With over a billion users, Facebook is the most widely used social network by individuals and businesses. Initially, Facebook started as a social network for students at Harvard, and later expanded to other colleges. In September 2006, the network was opened up to anyone, age of 13 or older, that had a valid email address. Since then, the network has allowed people to connect with old school mates, family overseas, and more. However, its uses aren't just in being social. Through Facebook, you can connect with your clients and customers, and build your business credibility and reputation to reach your market. Users create a "Profile" where they can have their picture of themselves, as well as a larger cover photo, and information about their education, work, marital status, interests, and more. A users main profile page has their feed, which includes the items they post, or items posted by others directly onto their feed. Customizable tabs just below the cover photo allow the user to have links to other information about them, such as "About," "Photos," "Friends," "Groups," "Events," "Videos," and more. Following the Snapchat model, Facebook now offers the ability to post a "Story" instead of a post. The difference is that a story is only available for 24 hours and viewers can only see it up to two times. Running on the left of the profile news feed is also information about the user, photos, and friends. Users can access their profile through a direct link or by clicking their name in menu running along the top of the Facebook page. Facebook sets a profile friend limit of 5,000, but fortunately, for people who want to use Facebook to promote a business, it offers "Pages." Instead of "friends," pages generate fans or "Likes." Authors, speakers, home business owners, and large corporations, all use fan pages to share information and interact with their leads and customers (see below for using Facebook for business). If you'd like to run Facebook Ads, you'll need a page. Although your fans can comment on your page posts, pages aren't as interactive as some people like. Facebook Groups are a great way for people of like minds to connect over a hobby or interests. For businesses, it's a great way to have interaction with a target market. Many entrepreneurs use groups to run mastermind groups, or answer questions of people who buy their products or memberships. Facebook users can make "friends" with others by either accepting a friend request sent to them, or by sending a friend request to others. With your permission, Facebook can search your email contacts to find people that have a Facebook profile so you can easily friend them. Or you can use the search box at the top of the Facebook page to find your friends. It is possible for someone to see what's on your profile and feed without being your friend. They can opt to "Follow" you. There are no notifications related to this, and if someone one follows you, that doesn't mean you're then following them. It is possible to turn off the following feature, as well as to block specific people from following you. People who like your page are called fans. Theoretically, when they "Like" your page, the items you post on that page appear on their page. In reality, Facebook as started to severely limit this and prefer to have you "boost" (pay to promote) your post to your fans. People who join your Facebook group are called "Members." These members get notifications when you post something in your group. Groups are a great way to get people to interact with you and feel a part of your business. You have two feeds; 1) your profile feed, which has all your posts and posts that someone specifically puts on your page; 2) your news feed, which has the posts of your friends. Your news feed will likely also have "sponsored posts" which are essentially ads that you fit the target market for. Your Facebook page has a feed too, but it only has your content. Along the left, there are links to your events, notes, and other features you can add such as video, services, and a link to your group, if you have one. You can get an email notifications, but that can become overwhelming if you are active on Facebook. Instead, there is a bell-shaped icon on the top left menu that will let you know if you know about responses to your posts, things added to your feed, group comments, requests to join your group, and more. Click the bell and a drop down list of your recent notifications will appear. Click on the notification you want to check out, and you'll be taken to it on Facebook. To the left of the bell is an icon that looks like a talk bubble. That lets you know about private messages you have received. Left to the talk bubble, is an icon with two bodies, which lets you know that you have friend requests. Messenger is the private messaging service through Facebook. You can access it using the talk bubble in the top menu. On your phone, you're required to download the messenger app to send and receive messages. If you want to send a message, you can go to the profile or page of the person you want to reach, and click the "message" option on the right side of their header picture. Now that you have a sense of everything Facebook offers, the next step is figuring out how to use them to build your business. Here are ideas and strategies on how to use Facebook for business. At the very least, you should set up a Facebook page. Like any other tool used to reach your market, you want to have a plan for how you'll use your fan page. Like a profile page, you can have photo and cover, but in this case, you can have graphics of you and your products. 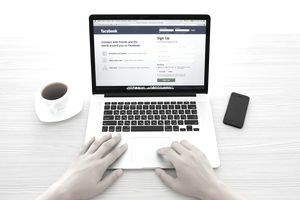 Fan pages offer a few more business-oriented bells and whistles, such as the ability to have a call-to-action button just below your cover photo. This can be a place to ask fans to sign up for your email list, contact you for a consult, or visit your sales page. A Facebook Page is also a great way to keep your followers up-to-date on what's going on in your business. For example, you can share your blog posts or special offers. You can share videos and photos of behind-the-scenes or tutorials related to your business. Similar to blog themes, you can have Facebook Post themes, such as Tip Tuesday or Throwback Thursday, where you share information or ask your fans to engage with you. You can add events (in-person announcements or online through Facebook) to your page. You can generate "fans" by promoting your page on other social media and your website or blog, inviting others to “like” (formerly, become a fan of) your Facebook business page. The only downside of Facebook Pages is that Facebook now limits the number of fans see your posts on their feed. Because of this, many of your fans might not see that you've posted a new coupon or tip unless you "Boost" (pay) the post. You can create a group connected to the page as well, although you can create a group on its own or instead of a page. More and more consumers are wanting to engage with the businesses they buy from. A way to do this, without having to add a forum to your website, is through a Facebook Group, where you can have discussions with your clients, customers, and prospects. Groups allow for easier conversation than fan pages because members can post questions or comments directly to the group feed. Further, because Facebook now limits how many fans will see your page posts, groups can be a better way make sure everyone is seeing what you're sharing. You can use a Facebook group for home business in many ways. For example, it can be a place where people who've bought your product or service to connect with you and each other. Many information entrepreneurs use Facebook groups as part of their package where people who buy the information can ask questions, share their successes, and network. Facebook has long had the ability to upload video, but Facebook live is a newer video option. Instead of filming and then uploading a video, you can film live directly from and to Facebook. Because it's you talking to your market, it makes you more personable and approachable. People are more likely to trust a business owner that it can see and hear in live video. Home business owners can use this feature in a variety of ways, including short tutorials, Q&A sessions, contests, behind the scenes views, and more. You can promote an in-person event and/or host an online event through Facebook. Not only can you let people know about the event, but also, you can have discussions around the event on Facebook. Facebook makes it easy to invite your "friends" who can RSVP through the event page. As a home business owner, you can use events to launch a new product, a customer appreciation event, or a celebration (such as your business anniversary). For example, many authors have online Facebook events for their book launches, where people can come to the page at a certain time to talk with the author, enter to win prizes, and more. Facebook offers a few paid advertising options as well. You can "boost" a post that has lots of engagement so that more people see it. Or you can create a pay-per-click ad that runs on Facebook. One of the great benefits of Facebook ads over other PPC networks, such as Google Adwords, is the ability to highly target who sees the ad. You can target your followers specifically, or your market by demographics, such as gender, age, location, interest, and more. Ads show up on news feeds, as well as on the right-hand side of the Facebook feed. Is it Time to Put Facebook to Work for You? You have many choices when it comes to social media marketing. The first rule of social media success in home business is to be on the networks your market uses. With over a billion users, chances are good that a large number of your potential clients/customers are using Facebook, making it a safe bet to market your home business.